PayPal One Touch will be a game changer for shoppers who likes to use apps to buy stuff. You know how it is. When you find something you like, you have to add it to the cart, click on checkout and fill in all those nitty credit card details. Well PayPal wants to do away with all of that. App makers just need to integrate PayPal’s solution into their apps allowing users to tap a “Pay With PayPal” within the app and their credit card details will be filled up instantly for them. A dream come true for those who find keying in their credit card details a waste of time. Since consumers will be shopping more with their mobile phones, it’s best to keep the checkout process as short and fast. The technology comes from BrainTree which was acquired by PayPal last year. BrainTree has a service called Venno Touch which allows users to checkout quickly and easily in mobile apps using the card that’s linked to their Venno account. Since PayPal acquired the company, makes perfect sense for them to fully utilize it. 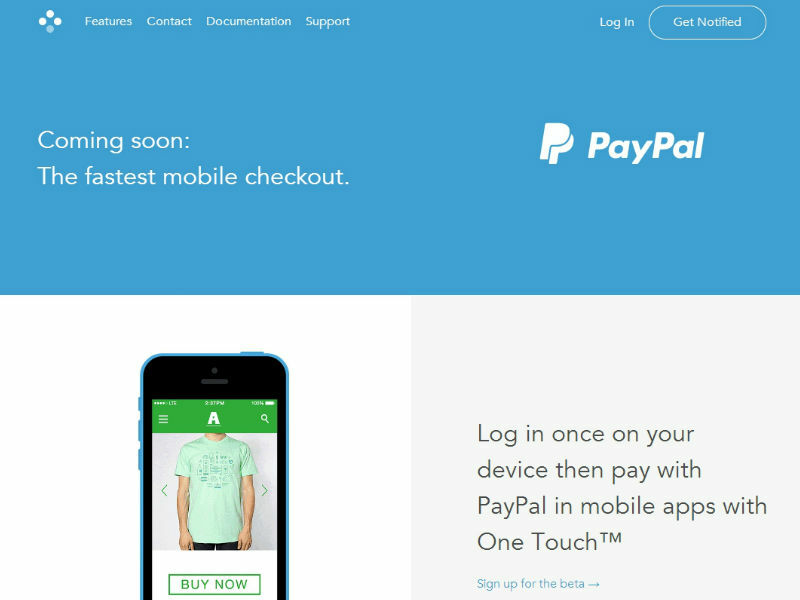 PayPal One Touch works with both iOS and Android but not for Windows phone yet. Developers can start signing up for the beta to integrate with their apps.